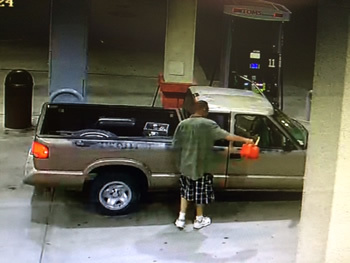 A Santa Maria man stopped at a Buellton gas station Saturday night to fill up his pickup. Instead of simply filling up the tank, the man poured gas in the front seat of his truck, as well as all over his clothing. In the late evening hours, the sheriff’s office received a report that the suicidal man was about to light himself, his pickup and possibly the Buellton gas station on fire from the gas station, which is located in the 200 block of East Highway 246. The witness reported a man was pacing near fuel pumps with a gas can in his hand, and he had doused himself and his vehicle with gasoline. The man appeared to be attempting to ignite the gasoline, according to the witness report. A sheriff’s deputy assigned to the city of Buelton arrived at the scene and found a 48-year-old who was obviously experiencing a mental health crisis, a sheriff’s office press release states. The suicidal man was holding a gas can in one hand and a cigarette in the other. His clothing were soaked with gasoline. 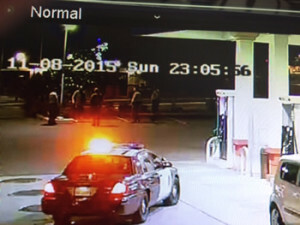 The deputy engaged the man in conversation and encouraged him to move away from the gas pumps. The officer eventually managed to convince the man to put the lighter in his pocket. Additional deputies arrived on scene and helped communicate with the man and shield bystanders from danger. As deputies approached, the man walked away from the gas pumps and into the open parking lot, where deputies grabbed him. The man will receive a mental health evaluation prior to being released from sheriff’s custody. Sheriff’s officials are not releasing his name out of respect for his mental health crisis. Deputies worked with Santa Barbara County fire personnel and gas station staff to ensure dangers posed by the gasoline were mitigated. Sounds like these sheriffs know how to defuse a situation. Good work. hmmmm…….if he wasnt soaked in gasoline with plenty of reserves nearby i believe they would have just shot him so they could go home earlier.